Adrian 8, (boxes) and Chase 5, (UPS driver) My boys love our UPS driver. He is amazing and always take time to talk with us. 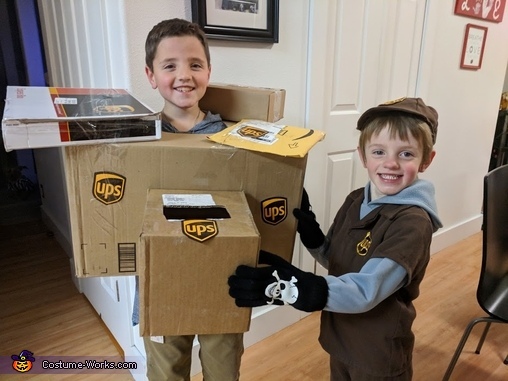 So, they decided to be a UPS driver and boxes!